In this experiment, we will detect the arrival of short-lived, cosmic ray muons and measure the time between their arrival and subsequent decay. From the distribution of these times, we will deduce the mean lifetime of the muon and use this lifetime to determine the Fermi coupling constant, the fundamental constant characterizing the weak force. Skills that will be acquired include: Pulse observation and measurement; measurements with a digital scope. 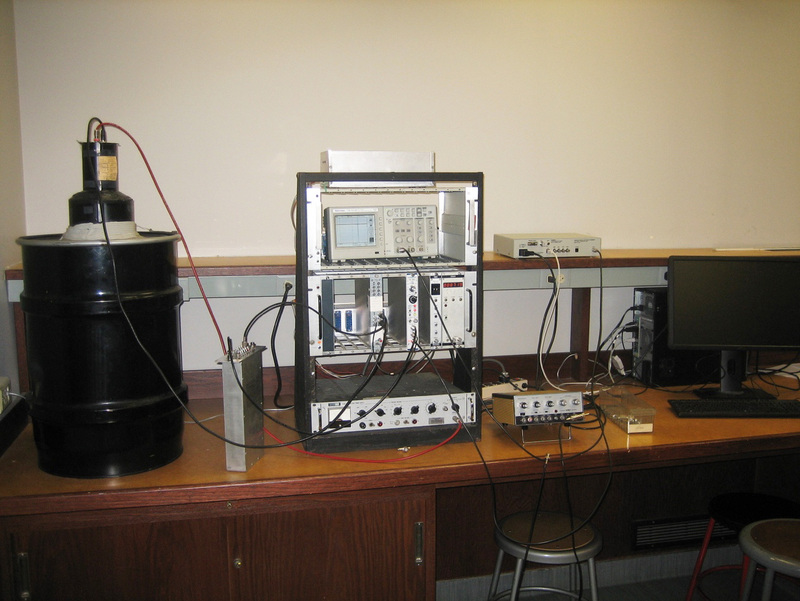 Use of a pulse height discriminator to reject noise; calibration and use of a time-to-amplitude converter and pulse height analyzer to measure the distribution of time intervals on the order of microseconds; curve fitting and model testing. This experiment will use one of the three days of the immersion to adjust and calibrate the system. Data will be collected overnight for adequate statistics. The cost to implement the experiment is roughly $5000.